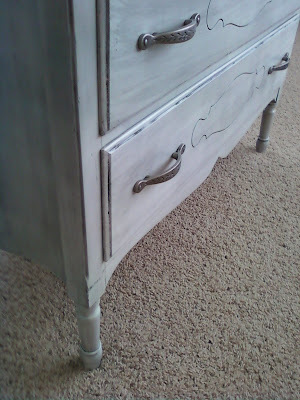 Lisa Winnett Interiors: A dresser for .E. Back in June, our close friends moved out of state. During their move they decided that they did not want to move with this old dresser. So they gave it to me to see if I would like to fix it up. It has been sitting in the garage for months now and I have big plans for it but life during the summer was crazy so it took a while to get around to it. I thought it was the cutest little dresser and I thought it would be so cute in a girls room. 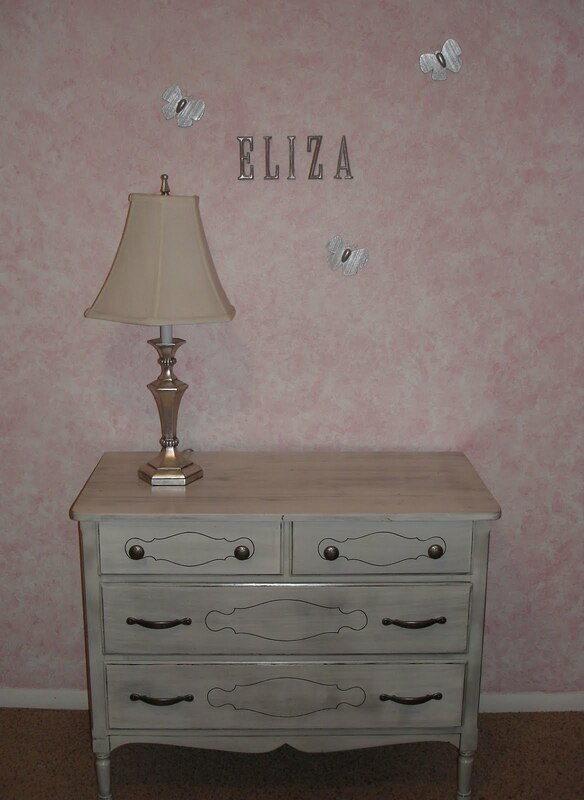 Unfortunately, there is no room in my little girls room for another dresser so I decided to make it for my niece. 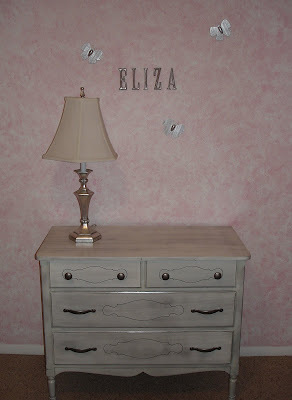 E just became a big sister when she got a new brother and sister this past week so she had given up her dresser to them. It was in pretty bad shape, so I recruited my handy man to help me out. The top was warped and curved up in the front. So it sat up about half an inch from where it should. We cut a new top for it out of a new piece of wood ($25 - still had some left over for another project). We also strengthened the drawers and replaced the nobs and pulls ($16). E's room was just recently painted her favorite color - pink. 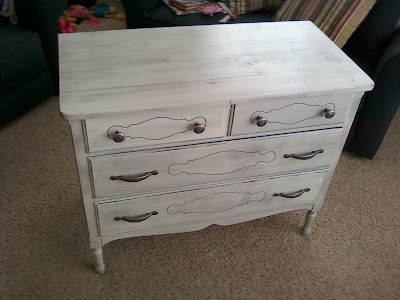 So I wanted to make the dresser white as to not compete with the bright color of the room. We first primed the dresser and then started painting ($12 - 2 cans of Kylon primer and 2 cans of white Krylon Spray paint). It looked good Bright white but I really love glazing furniture now a days and I really love the way it makes it look. Here is a picture of 2 drawers. The top drawer has been glazed and the bottom one has not, what a difference it makes. The details really stand out. Here it is all finished, it is so cute. I was so excited to give it to her. Here it is finished in her new pink room. I think it looks so cute, she loves it. I love the legs on it, what character it brings to this piece of furniture. E loves her dresser! Thank you so much! I will get you a picture of it in her room one of these days! darling dresser! is the glazing technique hard?